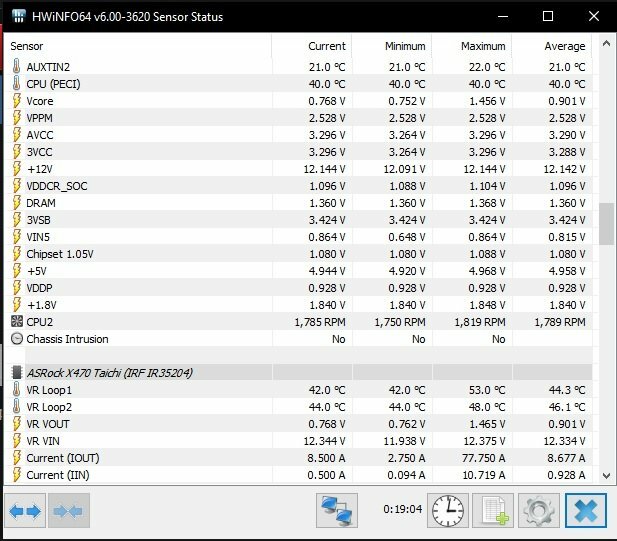 Recently I bought the above mentioned AIO and Im seeing from HWinfo that the pump's rpm are at 1800 even tho this AIO is advertised that pump is running at 3600rpm my pump is running at half speed 1800rpm. 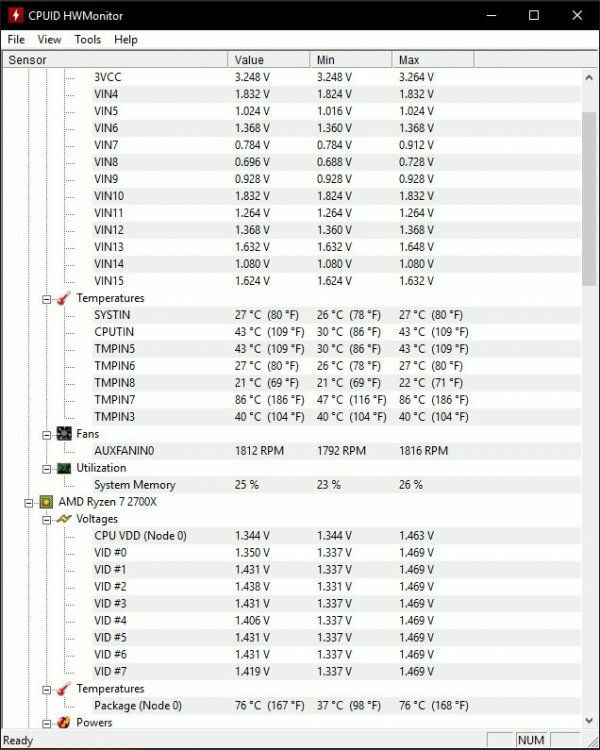 Yes, the RPM adjust to the actual CPU temperature - in your case 40C the pump should run ~1300 rpm idle and under stress go up to ~1700 which usually is sufficient to keep the stressed CPU under 70C all provided your in-case temperature is no more than 5C higher than room temperature. 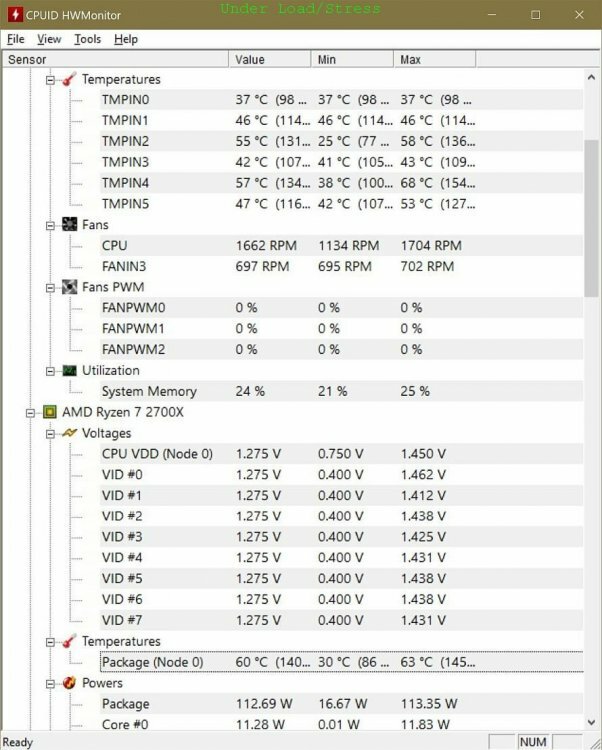 Perhaps post a screenshot of TT RGB plus - lets see what's the temp display is there? Perhaps try resetting to system/bios defaults and see? I'm using a kinda aggressive XFR profile when all cores are needed vcore is around 1.37 while there are less core needed it's going from 0.75 to 1.45. My main issue that the pump according to HWmonitor isn't running at max speed as per manufacturer description and I don't have any idea either it shows the half of the actual speed or the pump runs at half speed actually. Well that's really a shame if they are fooling their customers like that.